Monthakan Ratnarathorn, MD, is board-certified in orthopaedic surgery. She particularly focuses on pediatric orthopaedic surgery and is available for Independent Medical Evaluations (IMEs) and Expert Witness Engagements at several locations throughout Los Angeles County. Dr. Monthakan Ratnarathorn, MD, is a board-certified Orthopaedic Surgeon who practices primarily in Los Angeles. She received an undergraduate degree in biology from the Massachusetts Institute of Technology and earned a medical degree from the Boston University School of Medicine. Dr. Ratnarathorn completed her residency in orthopaedic surgery at the Charles R. Drew University of Medicine and Science and a fellowship in pediatric orthopaedic surgery at Orthopaedic Institute for Children, Los Angeles. 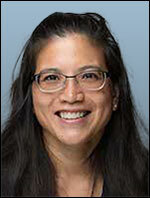 She is a member of the American Academy of Orthopaedic Surgeons and Pediatric Orthopaedic Society of North America.